Fjeldsa, J., and N. Krabbe. Birds of the High Andes. Copenhagen and Svendborg, Denmark: Zoological Museum, University of Copenhagen and Apollo Books, 1990. Fraga, R., and S. Narosky. Nidificación de las Aves Argentinas (Formicariidae a Cinclidae). Buenos Aires: Asociación Ornitológica del Plata, 1985. Hilty, S. L., and W. L. Brown. A Guide to the Birds of Colombia. Princeton, New Jersey: Princeton University Press, 1986. Johnson, A. W. The Birds of Chile and Adjacent Regions of Argentina, Bolivia, and Peru. Vol. 2. Buenos Aires: Platt Establecimientos Gráficos, 1967. 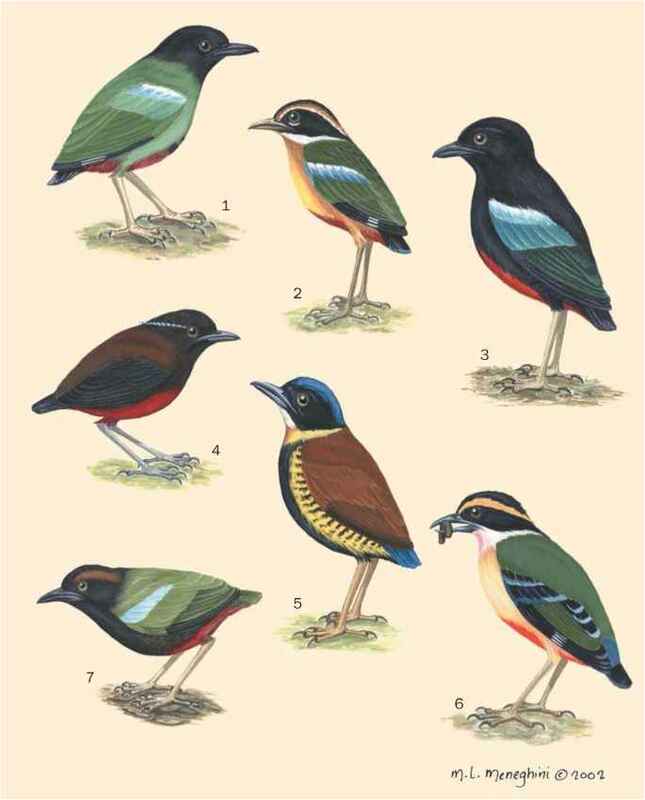 Meyer de Schauensee, R. A Guide to the Birds of South America. Edinburgh: Oliver and Boyd, 1970.
de la Peña, M. R. Nidos y Huevos de Aves Argentinas. Santa Fe, Argentina: Fundación Habitat & Desarrollo, 1999. Ridgely, R. S., and P. J. Greenfield. The Birds of Ecuador. Vols. 1 and 2. London: Christopher Helms, 2001. Ridgely, R. S., and G. Tudor. The Birds of South America. Vol. 2. Austin, Texas: University of Texas Press, 1994. Schonwetter, M. Handbuch der Oologie. Vol. 2. Berlin: Akademie-Verlag, 1967. Skutch, A. F. Studies of Tropical American Birds. Cambridge, Massachusetts: Publications of the Nuttall Ornithological Club 10, 1972. Conopophaga and Corythopis." Peabody Museum of Natural History Bulletin 114 (1968). Ames, P. L. "The morphology of the syrinx of passerine birds." Peabody Museum of Natural History Bulletin 37 (1971). Baudet, G. "Primeira observa^ao do entufado-baiano (Merulaxis stresemanni) na natureza." Tangara 1 (2001): 51-56. Behn, K F. "Contribución al estudio del Pteroptochos castaneus Phillippi et Landbeck." Hornero 8 (1944): 464-470. Belton, W. "Birds of Rio Grande do Sul, Brazil. Part 2. Formicariidae through Corvidae." Bulletin of the American Museum of Natural History 180 (1985): 1-241.